My name is Laurie-Ann, and I’m a missionary. During my mission travels, I have ministered with people in Northern Ireland, Pakistan, Canada and the USA. I’ve also ministered in African countries like Kenya, Ghana, Sierra Leone, Mozambique, South Africa and Botswana. But at this time, we live in the beautiful Western Cape of South Africa. In the last article, we began to learn some of the ways that God guides us. There are Old Testament scriptures about what happened when the Hebrews, Israelites and then the Jews didn’t follow God’s plans for them. They instead did not trust God, and made their own plans. A good example of this is in Isaiah 30, when some Jews fled to Egypt, when they were asked not to do so. It broke God’s heart, yet there was always a remnant that stayed true. Quite often, when left your own unaided decision making, you end up in places you shouldn’t be, and eventually live to regret it. Nicky Gumbel shares that many new Christians say to him “I wish I had become a Christian five or ten years earlier. Look at my life now. It’s such a mess.” If we are to find out about God’s plans for us, we need to ask him about them. 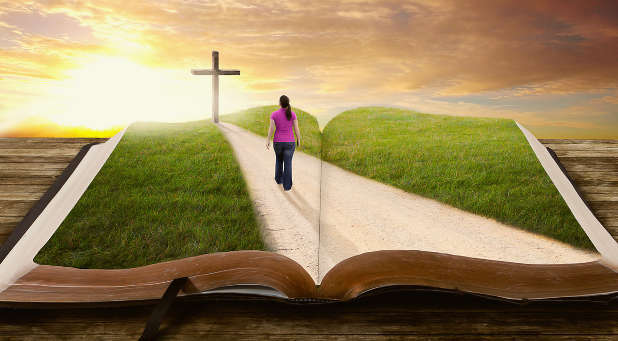 When we are seeking guidance for our lives, there is general guidance, as shown through scripture and there is specific guidance. When we are making major life decisions we may need confirmations in the many ways that God speaks to us. He gives us directions, but he’s not a cosmic GPS. He’s so much more than that. There are five CS’s – and we started our journey through the first CS – Commanding scripture, and learned some of the second CS – Compelling Spirit. That is the Holy Spirit. Sometimes a scripture verse can seem to leap off the page of the Bible into your heart. It isn’t taken out of its original context, but it’s like the Holy Spirit breathes into the words that he originally inspired – to have an encouragement just for you. It could be about the love of God for you as his child. It could be about having to leave your parents’ house or country to go somewhere new. This was the call of Abraham, and also the same call to many missionary monks from Ireland. Some are called to stay single, others to get married. Sometimes that person is shown their spouse, and other times, we are given more choices, as long as they are compatible, love God and have a similar calling. Compelling Spirit is the second CS. It’s one of the more supernatural ways of hearing God. Sometimes the Holy Spirit seems to grab us through dreams, impressions during prayer, godly desires, and supernatural enlightenment of our minds and hearts. The Holy Spirit works in different ways. Some are quiet, some are not. He speaks through our conscience, to stop and love the one. Or to show kindness in another way, like saving a life. God often speaks in impressions when we pray. Shawn Bolz shared recently at a Toronto conference that God speaks to most people in impressions. He does this in a quiet way so we lean into him for more. It’s not like he’s shouting in an audible voice from a distance. He’s not distant at all. Impressions and pictures are the major ways that the Holy Spirit speaks to me. This is because I’m an artist, and I also get guidance in how to pray and encourage others in this way. Tony gets loving thoughts in his mind, this is also called the still small voice of the Holy Spirit. This is one the most common ways that the Holy Spirit speaks, after illuminating scripture and impressions. He can remind you of scripture, past events, and also give inspirational ideas for art, business and to bless relationships. But we need to test these thoughts and pictures. Sometimes they are from God, and other times from our own strong desires or even from the devil. So you check if the impression promotes love, lifts up Jesus and is in line with the Bible. What is the motive behind the picture or word? Does it give you peace or fill you with love and joy? Here are a few examples: Impressions of greed, causing someone harm, or a fantasy of having lovers we are not married to is not from God. God sometimes speaks to us by giving us a strong desire to do something. During the last broadcast I shared about Tony’s change of heart to go on his first mission trip with me in Kenya. It turned out to be a wonderful experience for him, although he was initially reluctant. It took the Holy Spirit to change his mind – in a space of a few short minutes. The same happened with Tony’s application to Harvest School, although this was a longer process. It took weeks for Tony to come around and decide to answer God’s call to him as a missionary for a season. While I had accepted my call gradually by a series of saying yes, he had to grow from no to a yes. But since then, Tony has become an amazing and loving missionary. It’s a calling that takes in whatever skills, talents and drives each of us possess. God guides us in more unusual ways. Impressions and the still small voice are ways that God often speaks to most of us, including well-known prophets. God often does not shout, but whispers. I have had had many gentle whispers from the Holy Spirit in my journaling times, soaking prayer times, when I am worshipping, and sometimes when I draw. This is how I expand drawings into prophetic art, from the smallest of impressions, that grow deeper as I dive into the prophetic pool, so to speak. I had one directive impression in 2014, when I was driving to Toronto to see my parents. I had planned a little trip with my mother to the Finger Lakes area of New York State. Just out of the blue, I had an impression that I would be teaching African children about art. I had hoped that I could also teach radio, but that hasn’t happened yet. So when I was offered the position of teaching art at Worcester’s MasterPeace Academy, it fitted. So did turning my newer prophetic drawings into what will be a colouring book. I know there’s so much more in store for me as I continue to walk that specific part of my calling. This was the beginning of Samuel’s ministry as a prophet to Israel. He was used to minister to many, including King David as a boy. He was the one who prophesied he would be king, and anointed him for the eventual position. Jesus heard the audible voice of the Father after his water baptism in the Jordan river. Matthew 3:17 shares that the audible voice said, “This is My Son, whom I love; this is the Apple of My eye; with Him I am well pleased.” Our own Iris Global co-founder Heidi Baker also heard the audible voice of God the day she came to faith. She shared in the Compelled by Love movie that the voice told her that she “was called to be a minister and a missionary, and she was to go to Africa, Asia and England.” And so she did. There are many biblical examples of God guiding his people through angels – in the case of Abraham, Joseph and Peter. In Abraham’s story, three angels visited him in the guise of men. In Genesis 18, they told him that he and Sarah would have a child in a year. In Genesis 16, an angel also came and told Hagar, Abraham’s concubine, a message of hope and survival. An angel appeared to Joseph, the earthly father of Jesus, in a dream three times. In Matthew 2:13, He was warned to take Mary and Jesus into Egypt, since King Herod was sending soldiers to kill all the baby boys in Bethlehem. The same angel then told Joseph when it was safe to return home. The angel Gabriel appeared to Mary, who announced to her a special calling. This was right before she conceived Jesus by the Holy Spirit. In Acts 12, the apostle Peter was also freed from prison by an angel. Zachariah, the father of John the Baptist was also told by an angel about his barren, middle aged wife becoming the mother of a special prophet. Angels have also encouraged and strengthened, such as Joshua at the city of Jericho in Joshua chapter 5, and others have been involved with commissioning, such as the angels with hot tongs, in Isaiah’s commissioning. I’ve encountered angels in human form quite a few times, when I’ve been spared dangerous circumstances. I’ve often sensed them, but I’ve not yet seen one in angelic form with my earthly eyes. Two prophetic leaders in my life have regular stories about them – Shawn Gabie, pastor of Kingdom Culture, and Darren Canning, a Canadian prophet, artist and writer. I used to work as Darren’s assistant, which was a wonderful time. During that year, I once told Darren I always wanted to see an angel, and he replied that I do see them. Have I been guided by one? Yes, to safety. Yes, when I worship. But it’s more the Holy Spirit that guides me personally, although I know that angels are there to protect me and strengthen me. I sense their presence, and I’m thankful for their ministry. God guides through visions – These are stronger than fleeting impressions that we may have when we pray. They can seem like full movies that come when we’re awake, but it seems that we may be in an interested trance. Peter had such an experience on his rooftop before he was asked to come to Cornelius’s house to minister. This experience, and the resulting time at this God-fearing Gentile’s house, transformed Peter’s ministry beyond being to Jews only. In Acts 16, Paul also had a powerful vision showing a Macedonian man calling to him and asking for his help. This was authoritative guidance. God guides through dreams. Earlier I mentioned the dreams of Joseph, the husband of Mary. He was given two dreams concerning moving his family into and out of Egypt. When he was engaged to Mary and still confused on how to handle her pregnancy, he also had a dream that confirmed that the baby was conceived through the Holy Spirit, and he had a calling to care for them. Tony and I had many dreams leading us to South Africa. Others also had dreams that affected us. One such dream was from one of my Ottawa pastors, Joe. I remember going to Joe and asking for prayer and advice on whether it was the right thing to do for Tony and I to sell our house and downsize into a condo – one that had just been offered to us. After all, we were expecting to go to Harvest missions school, how could we sell a house, and move into a condo at the same time? Pastor Joe looked at me with an excited look on his face and told me that he had a dream that was about me. In his dream, I had asked him to take care of a beautiful two bedroom condo while we were in Africa. This was the first confirmation, and there were others that followed it. So Tony concentrated on the sale of the house, we both downsized, and I concentrated on preparation for Mozambique and South Africa. We did enjoy the condo, and know it will be there for us when we return from our time in South Africa. It’s currently rented out, so it pays for our rent here in Worcester. The first dream that we ourselves had leading us to South Africa was initially Tony’s. While we were in Pemba, Mozambique, Tony woke me up in the middle of the night, after he had an intense dream. He dreamed that I had a baby, but he didn’t get to see the baby, due to various distractions from family, work and other involvements. I knew from studying about dreams in a seminary course, that babies can symbolize something new. That something could be a ministry, idea, or business that would require care to launch and nurture. I remember asking Tony what colour the baby was. Since we were in Mozambique, I expected the baby to be a beautiful brown shade. He didn’t know the ethnicity of the baby, since he didn’t get actually to SEE the baby. So I prayed and asked that the Holy Spirit would give me a download of what the baby looked like – whether by dream, vision or impression. I didn’t have to wait very long. I was given an impression of the baby during worship in the Harvest School hut. I asked to see the baby up close, and it was like I was looking at a beautiful black baby in a bassinet. Then the baby changed colour, again and again to look like many colours. I was confused about what that meant. Did it mean many children all over the world? We both had other dreams that confirmed our ministry together, and I’m thankful these were written down so they weren’t lost. I’ve re-read them since, and they’ve given comfort and confidence. If you would like to read more about the dreams and words that called us into ministry, please go to our copplewestern.ca website, and click on the dreams page! Augustine felt as if his heart was flooded with light. He turned his back on his former way of living, and never went back. He became a major leader and theologian in the early church. Never underestimate the prayers of praying Christian relatives! God also guides supernaturally though our conscience – to do the right thing. This is part of stopping for the one. When we see someone in need and our heart fills with love, we know we have to act. May our hearts be able to feel this compassion and not become too hard or uncaring. During this article, I’ve shared some of the more supernatural ways that God guides us, with dreams, visions, impressions, angels, and the audible voice of God, which is one of the more rare ways. In our next article, we’ll share some ways that are just as important, but may be overlooked. These are common sense, counsel of praying people, and circumstantial signs. I pray that you have been blessed by our journey through some of the ways that God guides us. What I’ve shared is only a taste of a much larger menu. I encourage you to seek the scriptures yourselves. Ask Holy Spirit for an encounter. Ask him to show you Jesus, and the Father. Lord, I ask that you will touch every heart that reads this article. Point them to you. Open their inner eyes and ears to see you with them, in whatever circumstance they are in. Surround and fill them with your love, as they seek you. Show them that you have plans to prosper them, and not to harm them. In Jesus’ name. Amen. To hear an audio version of this article, visit the podcast page and scroll down to #45.